It is my turn over at Visible Image today and I wanted to share a card that I have made for my son. He has just started uni in the city, and so he is on the next part of his journey in life. I thought this saying from Visible Image might be a nice piece for him to have in his room on campus. The stamps combine the old with the new. I love the versatility of the stamps in general at Visible Image. To make this I have prepared the background with gesso and then some modeling paste through a Tim stencil. Over the top of this I have added some H2O’s in bright colours. And a little DI, in matching colours, just to intensify the colour a little more. 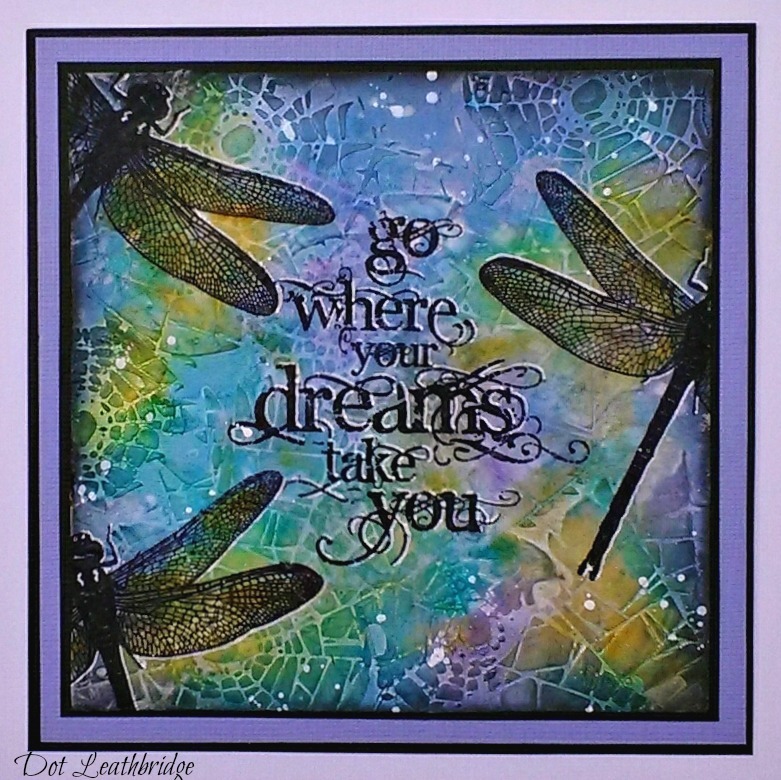 The words and the dragonflies were stamped onto tissue paper and applied with mat medium. Then I just added a little more of the distress colours to the wings and around the words to blend in any little bits of tissue paper that were still showing. A little splattered gesso, some edging with black soot and a little bit of white gel pen were used to finish it all off. I would like to enter this piece into the Craft Stamper challenge – Anything goes. *Monoliths (MDF’s) are now back in stock. 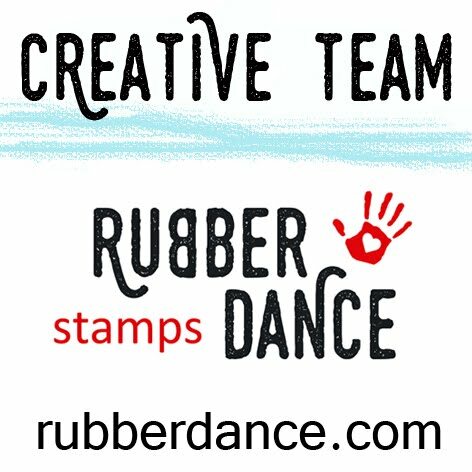 *New release stamps will be available for order as from the 25th of March. Gorgeous card Dot, Good Luck to your Son. Wow, magic! I love the colors and all the elements that used to create the card. Great inspiration! Absolutely stunning!! The background looks amazing already, but the way you managed to integrate those stamped images with the tissue paper is brilliant. Just linked up as a stalker again Dot as I am pretty sure you are not on my reading list lately, I lost lots of blogs I follow back in January when Blogger did his cleansing. Loving the background on this one and beautiful vivid colours. Fab depth of colours and I love your design !! Such a beautiful card Dot, I love the opulent and rich colours and the perfect verse for your son. Thank you for visiting my blog and leaving me such a lovely comment on my news, I so appreciated it. This is beautiful! Thanks for the instructions and inspiration! A very colourful and unique Dot special which Scott will certainly love. I am sure this next path in life will be exciting for him.